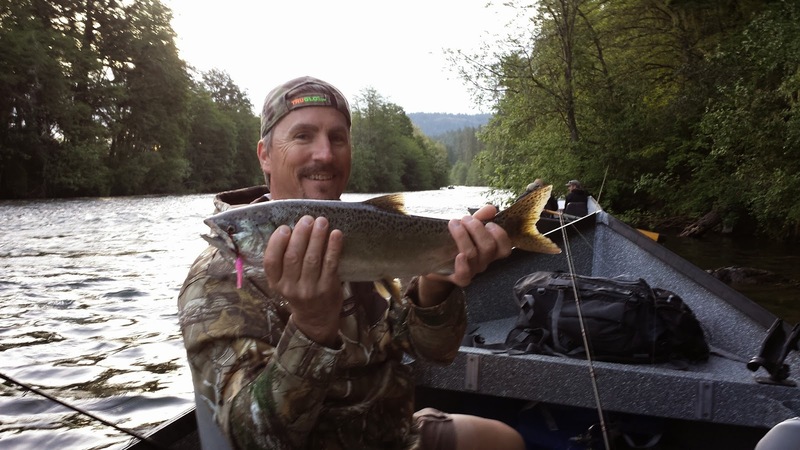 Spent an awesome day out on the water roping in some big Spring Chinook with a couple of awesome clients. 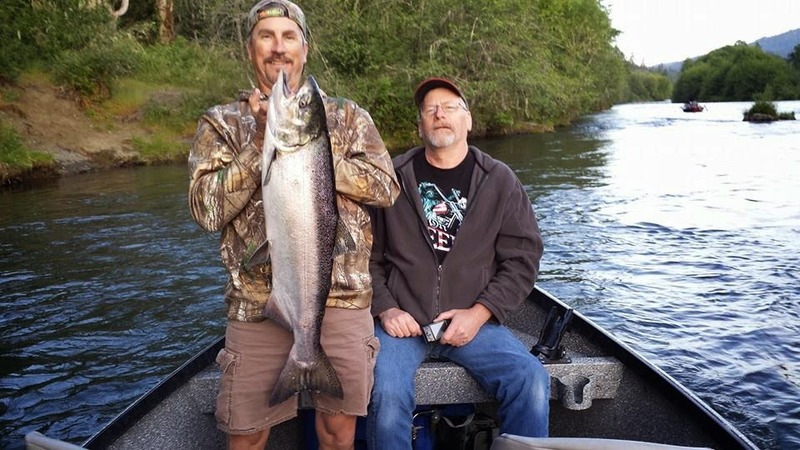 Darrin and Allen are great fisherman but even better fishing buddies. Allen just so happened to be celebrating his birthday and it took him all of 10 minutes to hook up with the first salmon of the day. It ended up getting away but it was a good learning experience so that we were all ready for the next fish. Only this time it was Darrin's turn, he had the hot rod for the remainder of the morning. He hooked three "Springers" throughout our drift and got each one to the boat. 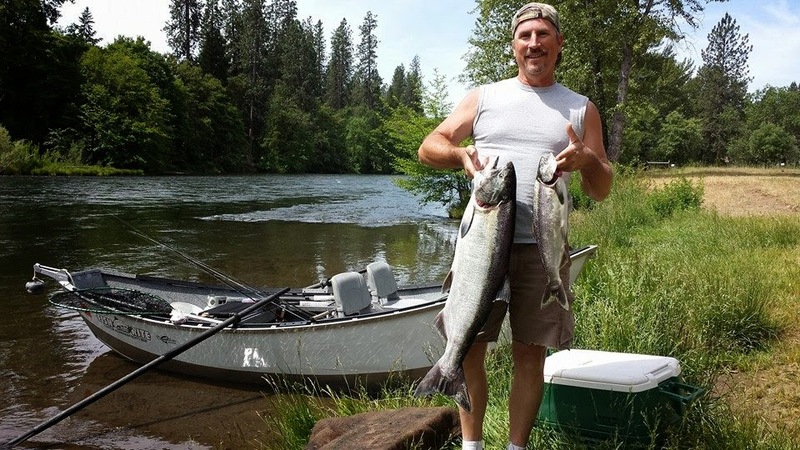 Darrin likes using his own Shimano Rod and Abu Garcia reel when he fishes with me and the setup is perfect for back-bouncing eggs on the upper Rogue. It was the lucky stick on this day and it helped catch a great birthday salmon dinner for the boys. Very nice job gentlemen and I look forward to seeing you on the water again soon. Happy Birthday again Allen and don't let Darrin do too much bragging down there at the Blue Moon. Thanks for the fun trip guys! 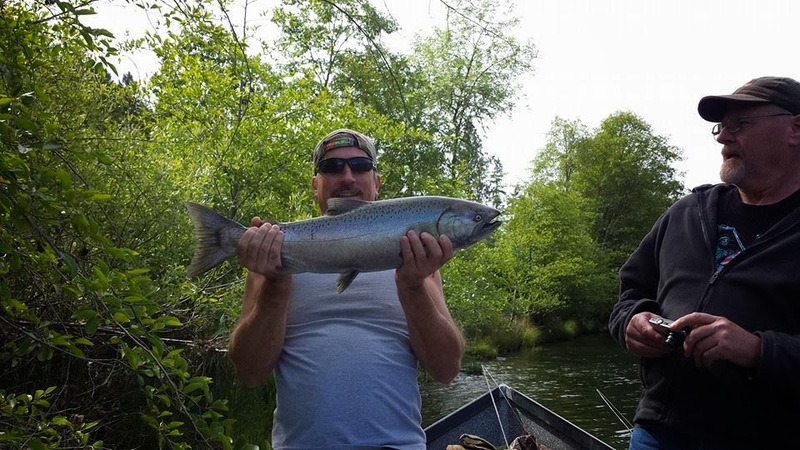 Chrome bright Spring Chinook Salmon caught by Darrin of Grants Pass, Oregon. Another Springer fell for the back-bounce, this one was released unharmed. 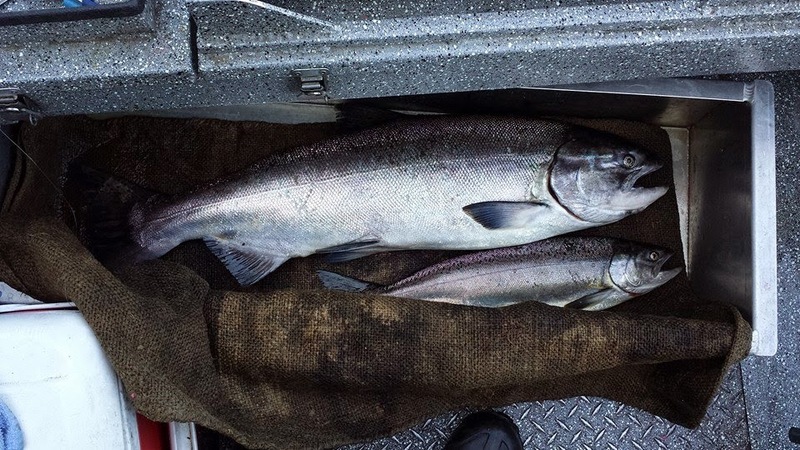 Hatchery Jack Salmon are considered a free-bee right now on the upper Rogue because they don't need to be put on a tag. 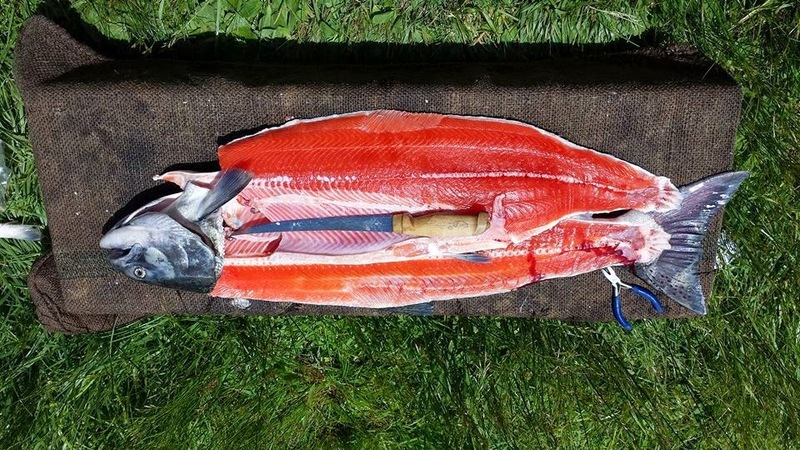 It's a really nice bonus fish, perfect for the BBQ. Fish in the box is what every angler wants!